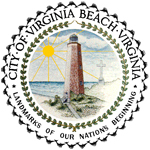 The City of Virginia Beach has much to offer, from beautiful beaches to fine dining and historical sites with easy access to other cities in Hampton Roads. Where else can you watch dolphins come within yards of the shore as they feed in the surf or catch a few waves? After hitting the beach, you’ll want to dine at our area restaurants. From seafood to steaks, international or vegetarian and more, you won’t be disappointed with our cuisine.